Important NEET Chapters 2019 | NEET 2019 is approaching at a faster pace and now the time has come for students targeting NEET 2019 to start preparing. The first thing that a NEET preparing student must come to terms with is the syllabus. With that sorted, the next thing needed is to identify the important chapters and topics that are needed to best prepare for NEET. 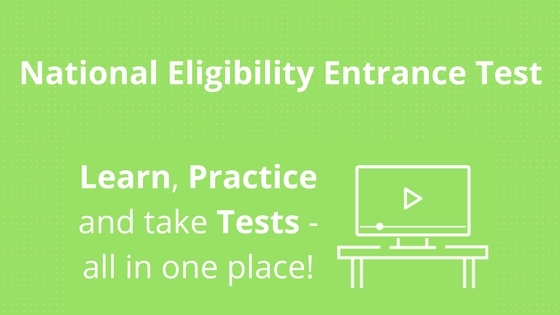 In this post, we bring you the most important chapters to prepare for NEET 2019. These chapters were skimmed based on the weightage they carried in previous year papers and the importance of each and every concept.So take a look at the table for each section carefully below from this article. Let’s dive deep into the important NEET chapters subject wise along with chapter wise weightage for each subject. Is knowing the important NEET chapters to study enough to crack NEET? We all wish it was that easy, right? But that is just the tip of the iceberg! To be able to crack NEET, which is the most competitive medical entrance exam in the country, you need to do more than just cherry-pick the chapters to study. You can also check out the best books for NEET Physics, best books for NEET Biology and best books for NEET Chemistry. At Embibe, we believe that a student should not only be tested on what they know but, more importantly, on how they reproduce what they know. Keeping this in mind, Embibe has a series of NEET mock tests with personalized feedback to follow that will keep you on your toes! Each test you take will come with an advanced test analysis that will pinpoint your mistakes so you know exactly where your weaknesses lie. You also get an improvement plan or a Personalized Practice Pack (PPP) that will focus on your weak chapters, questions you got wrong in the preceding mock test – basically, an action plan on how to increase your score in the next test. We hope this detailed article on Important NEET Chapters helps you in your preparation. If you have any query regarding Important NEET Chapters or the exam in general, drop a comment below and we will get back to you. NCERT is sufficient for this chapters or some other sources are necessary? Both requires understanding of concepts and a lot of practice. Physics needs one to have the ability to visualize the various processes as well. For Chemistry, you must regularly practice the reactions. Important topics are mentioned above in the article. Please check. Sir to gain good marks in NEET…. Which books should i prefer for chem & phy?? First of all thanks for reaching us through this good question. Let me explain you, experts from embibe have analyzed and helped us to produce this article keeping various parameters in mind to help you. I want to get more than 35 questions correct in chemistry neet . Will there be repeated questions in neet exam? Hi Prassanna, yes there are chances where some of the questions will be asked from the previous year papers.